Wood processing industries primarily include sawmilling, plywood, wood panel, furniture, building component, flooring, particle board, moulding, jointing and craft industries. 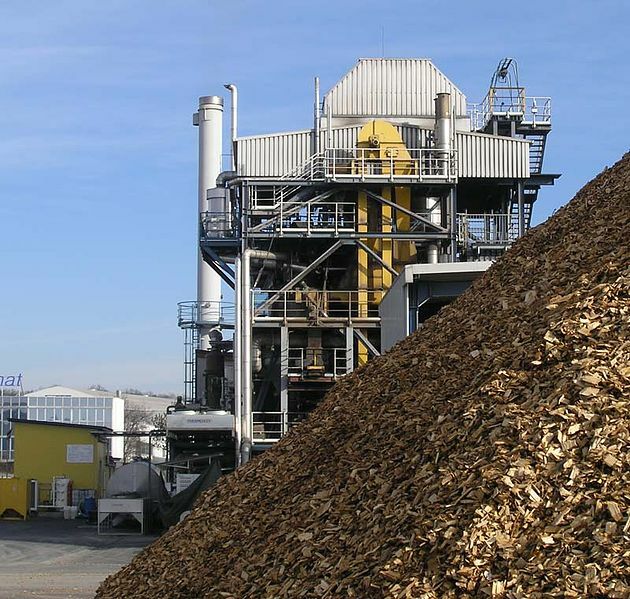 Biomass from wood processing industries is generally concentrated at the processing factories, e.g. plywood mills and sawmills. The amount of waste generated from wood processing industries varies from one type industry to another depending on the form of raw material and finished product. The waste resulted from a wood processing is influenced by the diameter of logs being processed, type of saw, specification of product required and skill of workers. Generally, the waste from wood industries such as saw millings and plywood, veneer and others are sawdust, off-cuts, trims and shavings. 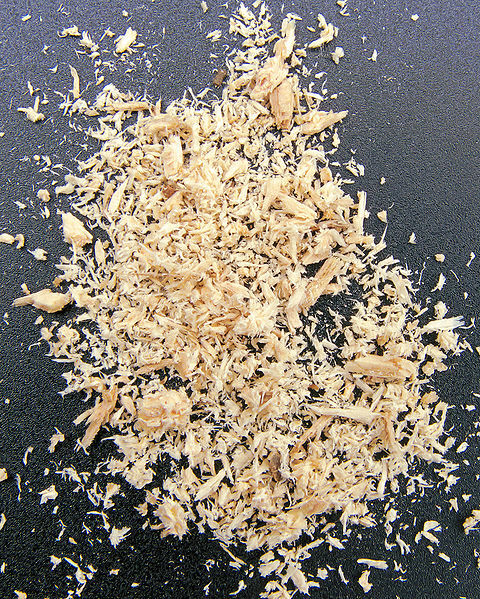 Sawdust arise from cutting, sizing, re-sawing, edging, while trims and shaving are the consequence of trimming and smoothing of wood. In general, processing of 1,000 kilos of wood in the furniture industries will lead to wood waste generation of almost half (45 %), i.e. 450 kilos of wood. Similarly, when processing 1,000 kilos of wood in sawmill, the waste will amount to more than half (52 %), i.e. 520 kilo of wood. The biomass wastes generated from wood processing industries include sawdust, off-cuts and bark. Recycling of wood wastes is not done by all wood industries, particularly small to medium scale wood industries. The off-cuts and cutting are sold or being used as fuel for wood drying process. Bark and sawdust are usually burned. The use of wood wastes is usually practised in large and modern establishment; however, it is commonly only used to generate steam for process drying. The mechanical energy demand such as for cutting, sawing, shaving and pressing is mostly provided by diesel generating set and/or electricity grid. The electricity demand for such an industry is substantially high. Recycling of wood wastes is not done by all wood industries, particularly by smallholders. These wastes are normally used as fuel for brick making and partly also for cooking. At medium or large establishments some of the wastes, like: dry sawdust and chips, are being used as fuel for wood drying process. Bark and waste sawdust are simply burned or dumped. The heating or calorific value is a key factor when evaluating the applicability of a combustible material as a fuel. The heating value of wood and wood waste depends on the species, parts of the tree that are being used (core, bark, stem, wood, branch wood, etc.) and the moisture content of the wood. The upper limit of the heating or calorific value of 100% dry wood on a weight basis is relatively constant, around 20 MJ/kg. In practice, the moisture content of wood during logging is about 50%. Depending on transportation and storing methods and conditions it may rise to 65% or fall to some 30% at the mill site. The moisture content of the wood waste in an industry depends on the stage where the waste is extracted and whether wood has been dried before this stage. Tagged Biomass from Wood Industry, Plywood, Recycling, Recycling of Wood Waste, Recycling of Wood Wastes, sawdust, Sawmill, Veneer, Wood, Wood Processing Industries, Wood Processing Residues, Wood Wastes, Wood Wastes Management. Bookmark the permalink.